I'm seeing advertisements from the wrong country, can I change market? The listings, by default, will base on your IP location. 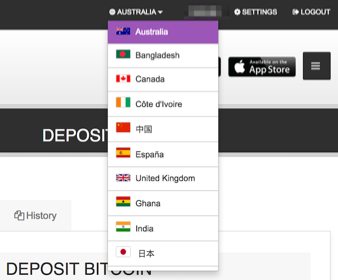 However, you can also choose other marker to trade with by selecting your country from the top right tab, there you will find the value of bitcoin in your country's currency.